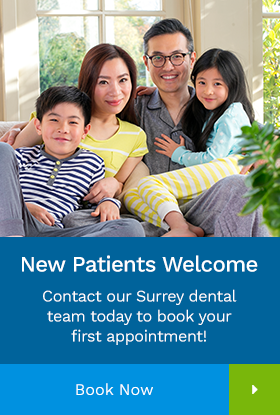 Our dentists at Elgin Corner Dental are dedicated to caring for the oral health of the Surrey community! Dr. Kim was born in Korea and grew up in North Vancouver. Dr. Kim received his Doctor of Dental Medicine degree from the University of Manitoba College of Dentistry in Winnipeg, Manitoba. Shortly after graduation he decided to move back to the Greater Vancouver Area to be closer to his family. Dr. Kim is currently a member of the Canadian Dental Association and British Columbia Dental Association. Dr. Kim believes in providing gentle, compassionate care for his patients and he also spends numerous hours on continuing education each year in different aspects of dentistry such as restorative dentistry, esthetic dentistry, endodontics and oral surgery to provide the best, up-to-date care possible to patients. When Dr. Kim is not working, he enjoys going for a swim, working out at the gym and spending time with his dog Winny. In 2009, Dr. Nick Aytoglu moved to Hamilton, Ontario, to attend McMaster University where he graduated with a Bachelor of Science in Biology and Psychology. Pursuant of higher education, Dr. Nick continued his studies at University of British Columbia to receive his Doctorate of Dental Medicine. Dr. Nick then moved to New York City in 2017, where he completed his General Practice Residency at Albert Einstein Montefiore Medical Center in the Bronx. Dr. Nick values volunteerism and giving back to his local community; he is currently working at a non-profit Community Clinic where he provides care to many underserved communities. He is passionate about providing equal care to all his patients, regardless of age, race, ethnicity, financial circumstances, physical ability, religion, sexual orientation, gender identity or gender expression. Dr. Nick is an active member of the Academy of General Dentistry, The American Dental Association and the American Academy of Periodontology. Dr. Nick is committed to advanced continuing education, attending lectures that focuses on different disciplines of Dentistry to enhance patient care, experience and comfort. As an enthusiast of the art, Dr. Nick continuous to find the perfect balance of medicine and design. He practices with a discerning eye for detail and ambition for patient satisfaction. Dr. Nick is also an avid spinner and attends spin classes at least three times a week! He plans to eventually start teaching spin classes in his free time.